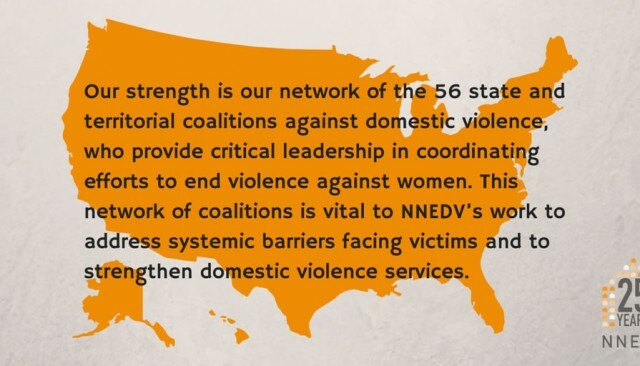 NNEDV represents the 56 state and U.S. territory coalitions against domestic violence. Domestic violence coalitions serve as state-wide and territory-wide leaders in the efforts to end domestic violence. These organizations connect local domestic violence service providers and are valuable resources for information about services, programs, legislation, and policies that support survivors of domestic violence. If you are in danger, please contact 911 or the U.S. National Domestic Violence Hotline at 1-800-799-7233, or, your local/state hotline.